Kerala is one of the most popular world travel destinations. This is not about sun, sea and sand which Kerala has in abundance but also its natural beauty. Its best reflected in the carefully preserved environment – the fabled backwaters, Kerala’s intelligent and affectionately protected elephants and its magnificent wildlife. 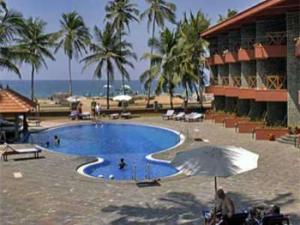 UdaySamudra is a unique five star luxury beach resort located in Kovalam. It has been very well designed and purpose-built to provide all possible comforts and luxuries to guests. This is a quality hotel where you relax just by being there. There are plenty of helpful and caring staff on standby. Guests are treated to a brief but traditional welcome on arrival with a cool drink before being shown to their rooms. Rooms at this resort are meticulously clean and spacious. One can book for a room with a direct view of the sea or that of the pool and gardens. The resort has three open swimming pools and well maintained and beautiful surroundings. Uday Samudra has its own exclusive beach for guests. Food provided is varied and delicious. Not only is the restaurant multi-cuisine, but many of the staff are multi-lingual. I recommend this resort to anyone in search of a quality beach resort. There is something unusually unique and positive about this resort. You can understand it fully only by being there and experiencing it. UdaySamudra’s staff are well-educated, experienced and exceptionally dedicated to make you feel at home and relaxed. The large reception and lounge area, vast enough to take a walk inside, is a meeting place for guests from all over the world. It has a de-stressing and relaxing ambience. Live music at dinnertime makes you feel as though you are in a concert hall or theatre where food is also being served. The resort has an Ayurvedic wellness spa, beautiful parlour and a dental service. 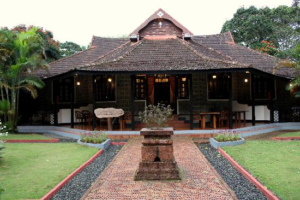 KTDC Lake Palace Thekkady: a real palace for a most peaceful and enchanting stay. This resort is a palatial haven for a most peaceful stay and mind and body relaxation. The Lake Palace with only 6 exquisite rooms once used as the Summer Palace by the Kings of Travancore has been most wisely turned by the KTDC into an exclusive and top quality modern resort for thediscerning tourist.It can be reached only by boat, the resort is in a peninsula and it really is a palace of peace surrounded by bird and animal sanctuaries. Words fail the critic, an indescribable experience, which can only be understood by being there. What would greatly appeal to the intellectual tourists is the natural beauty and Thekkady is emblematic of all that is best in this regard. 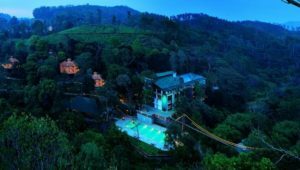 Even the unromantic would fall in love with the nature at this resort.Lake Palace Thekkady is a resort that provides the most natural environment for relaxing disturbed only by the sound of wild animals and birds in the jungle. Thegentle, constant and intoxicating breeze from the lake has immense therapeutic value. This unusually precious spot of luxury accessible only by boat is worth every penny you spend. Once you step out of the boat most people would not want to do anything other than sit and look out into and across the lake over to the forest where you can see a variety of animals walking around in their natural habitat. Even cynical travellers appear to be of the view that this is the best way to spend one’s time at this palace, designed for comfort and relaxation. Thekkady is famous for its Periyar Reserve and the boating in the lake. There is a free boating service and if you are lucky you can see a variety of wild animals including deer, bison, elephants and even tigers.Staff are caring, proactive and determined to make you feel happy and relaxed .You get the best menu options to suit your needs and tastes since the resort has a very skilled and experienced Chef. Vythiri Village resort is the ideal nature resort to rejuvenate your body and soul- perhaps the only five star resort in this region which provides relaxation, panoramic vistas and a variety of local activities and sightseeing opportunities for discerning travellers. Energetic and prompt service by well-trained, professional and proactive staff enables you to settle down in no time once you arrive at the resort. Main Chef ensures that you have the widest possible variety and options to choose from. Since it has been granted five star status, the well-resourced bar takes excellent care of thirsty guests. There is something for all age groups with an Ayurvedic spa, archery, morning nature walks, well-kept swimming pool and much more. The pool villas are unusually appealing and romantic. This resort with trees, tall and short and carefree monkeys and squirrels running and playing around, artificial waterfalls and the hanging bridge is simply delightful. 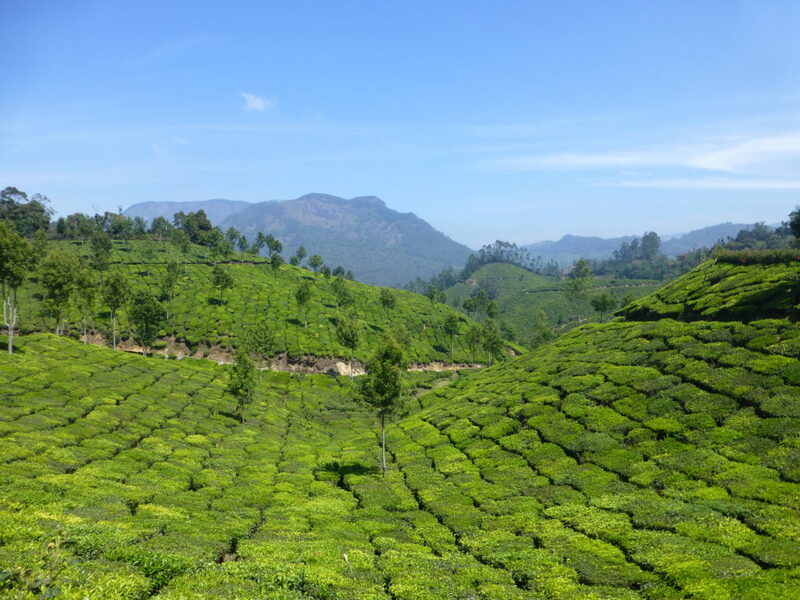 Wayanad is the cradle of a continuing subculture that has survived and in that sense its heritage aspect is fascinating. Vythiri Village can also serve as your base, inspiration and guide to reach out to the right sightseeing wonders such as Edakkal Caves,Kuruva Island,Muttanga wildlife sanctuary etc.